For those of you looking to propose in 2015, here’s an interesting article from Ritani (ritani.com) about engagement ring trends 2015. Several of these have been popular or ‘trending’ for some time, but there are some new ones to take note of. Alternative engagement rings that liken to the popular halo style, diamond cluster rings bring lots of sparkle to your engagement ring. A group of smaller diamonds that collectively weigh the same as a single loose diamond, are much more affordable; this way, you can choose a ring that takes up a larger area on the finger, for less. While diamonds are consistently the most popular choice for center stones, they are not the only option. As more celebrities, such as Kate Middleton and Halle Berry, are seen wearing gemstone engagement rings, interest in colorful versions of classic designs grows. A sapphire halo adds a vibrant dash of color to an otherwise traditional style, while an emerald or pink sapphire center stone is a truly distinctive choice that stands out from the crowd. Fancy diamond cuts, such as cushion, emerald and asscher, are becoming increasingly popular – giving your classic engagement ring an art deco, vintage-inspired twist. Cushion cuts, in particular, are gaining ground on the brilliant cut round and princess diamond shapes, appealing with their romantically antique silhouette. Emerald and asscher cut diamonds, have distinctive facet patterns that contrast light and dark planes within each stone. For some time now, white gold and platinum have been the favored metals for engagement rings. Their chic white tones have brought a modern effect, complementing the brilliance of white diamonds. 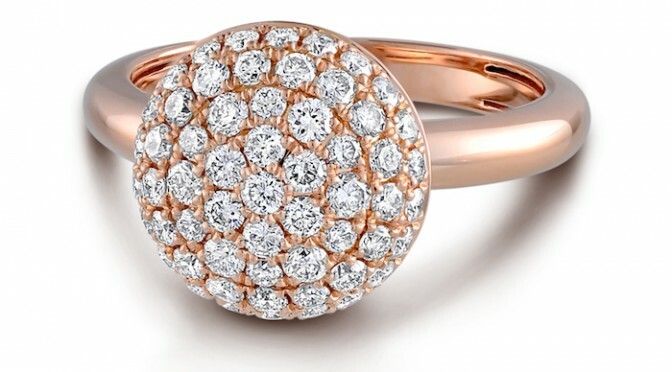 In the past couple of years, however, rose gold and yellow gold have been used more and more in fine jewelry, and we are now seeing this translate to bridal styles. Rose gold engagement rings are becoming increasingly sought after, with the romantic warmth of its coppery hue providing a striking contrast to diamonds and other gemstones. While it’s clearly not a new trend, we don’t see the halo engagement ring disappearing anytime soon. Aside from their glamorous vintage sparkle, halos are popular because they allow customers to maximize carat weight, without spending more on the center stone. If halos aren’t your style, however, Ritani has a variety of solitaire, classic and modern engagement ring designs to suit every taste and budget.